Check out our latest awards and accolades. 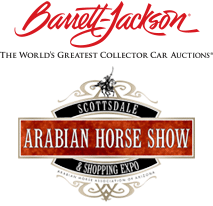 Whether you are coming before the Bentley Scottsdale Polo Championships: Horses & Horsepower or staying a few days after, Scottsdale offers a wealth of things to do and some of the best dining options you’ll find in any city. To help you plan your visit and ensure your Bentley Scottsdale Polo Championships: Horses & Horsepower experience is the best it can be, please look at our recommended places to stay and places to eat. See you soon!